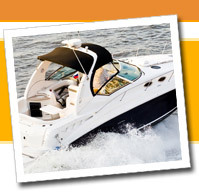 Discount and bargain prices on everything from Sea Ray Sundancers to cruisers, runabouts and Sea Ray parts and accessories. 2008 CLEARWATER 2200! 130 HOURS! 2008 CLEARWATER 1800 CC! 300 HOURS!